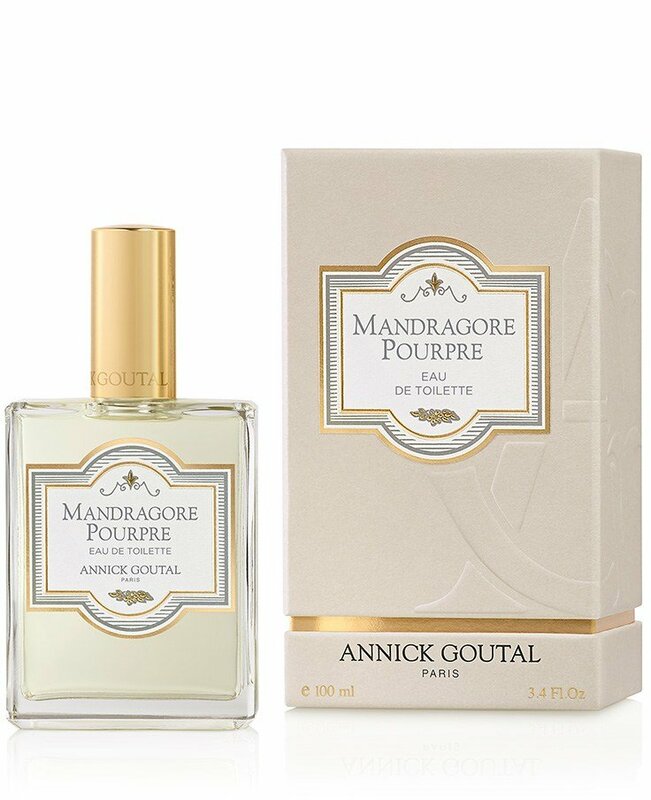 Mandragore Pourpre is a perfume by Goutal / Annick Goutal for women and men and was released in 2009. The scent is spicy-fresh. It is being marketed by AmorePacific / 아모레퍼시픽은. Mandragore Pourpre, compared to the original Mandragore, opens much darker, earthier and spicier. The bergamot and the mint are still present throughout the development. But it's no longer as green and crisp as Mandragore. The anise and the pepper turn the whole composition into another deeper colour. In the drydown, Mandragore Pourpre has a sweeter facet than the original edition. The amber and the myrhh give an oriental vibe. If sniffed closely, the heliotrope and the incense are also distinguishable. Although Mandragore Pourpre has quite a different character from the orginal Mandragore, their connection is evident: the same elements they share are embodied in the same way. Interestingly, Mandragore Pourpre has the same ethereal texture as the origianl edition even it's significantly spicer, which makes it inoffensive while keeping it stand out. The fact that it's spicer and darker, also helps to keep its strength and its vivacity, contrary to the original Mandragore which tends to fall bland in the drydown. The sillage is relatively close even sprayed liberally. The longevity is around 6 hours, which is ok for an EDT. I'd definitely recommend giving it a try. An interesting olfactory experience it shall be. to my bottling "Mandragore Pourpre" and my old mandrake. The filling I found quite fast in all my samples; the mandrake made it more difficult for me. With patience I discovered her in a place where I hadn't suspected her: she had probably moved there because of the complex building and painting work. The other half: two "legs" were broken off at some point and probably lost later. Annoying, because mandrake should not only be treated well, but should also be kept better if you have it. The red "mop of hair" can be seen for many hours in different handbags. I still remember that my mother bought this mandrake for me many years ago in the "Café Winuwuk" above Bad Harzburg. The property on the edge of the forest was acquired by a community of artists and art lovers, including the biscuit maker Bahlsen, who was one of them at the time. Details can be found on the website of Café Winuwuk; a visit there is really worthwhile. A coffee or tea break in the rustic café or on the terrace has its own charm! Anyway, from there, more precisely from the "Sonnenhof" the complete mandrake came to me and now lies next to the mini atomizer "Mandragor Pourpre" by Annick Goutal. Here I encounter a very spicy scent that opens with the distinct aroma of star anise. Unfortunately, contrary to the impressions of other perfumers, I cannot discover mint. It's as clearly star anise as our existing mutual dislike! But here the edges and corners are skilfully sanded by bergamot and a deliciously spicy rosemary (my balcony is full of it! ): star anise adapts! The dark purple floral splendour of the vanilla-like warm-scented heliotrope blends harmoniously with this entrée before black pepper is generously added. A fresh, possibly even slightly pungent wort is thus created. Patchouli, with its gentle sensual rays and very generously dosed, probably medium dark incense, complete an interesting fragrance composition. Originally I expected a sweet creation, but I don't know why! So Stanzes comment made me want to test this Annick Goutal fragrance for me: I have not regretted it! 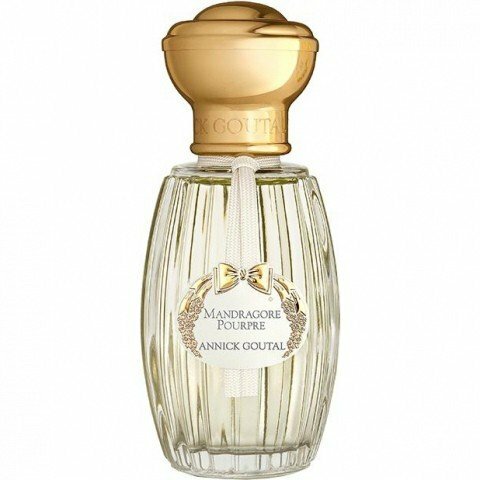 The durability is in the range of the well-known A.G.-fragrances; the fragrance course of "Mandragore Pourpre" is noticeable quite long; the individual fragrances are still well recognizable even after some time. However, they slowly become finer: a delicate spicy touch surrounds me at the end! The well-known, so beautifully feminine bottle also goes very well with this fragrance. So "Mandragore Pourpre" might even be a candidate for my collection; I will keep it in my memory and on my watchlist in any case. It's because he helped find the good piece Mandrake. I got a sample vial of this one when I ordered at AlzD. The description sounded very promising to me. 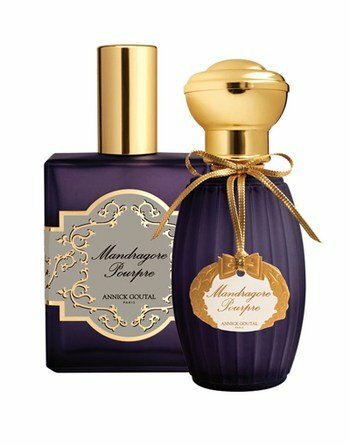 Actually I have no clue what Mandragore is and how it usually smells like. This one is a true unisex scent, maybe leaning a bit to the masculine side. It smells very natural. Maybe too natural. To my taste some of the Goutals lack abstraction. Sometimes I feel as if I was in a herb garden. In the beginning I get a lot of anise, which I like. The scent is very herbal, and there is a beautiful incense note. The drydown gets interesing and is better balanced. The herbal feel fades slightly but I still smell a slight herbal bitterness. Can't say much about the longevity because I haven't had a full day trial yet. I got the impression that it stays close to the body, a still water. But close to the skin it has presence. A beautiful scent, but not a clear buy. But I'll try again. I tried again and liked it. I noticed a slight rubber note. But somehow it doesn't get me. When I had put it on my sisted asked me to stay away for her (well, don't take it too seriously, she hasn't got taste *lol*). She said that I smelled of cloves. Strange, it is not listed. Don't know if there was some Equipage lingering on my collar. I own the original Mandragore and to be completely honest, some days I like it, some days I don't. The sharp citrus notes are often too much for me, however with the release of Mandragore Pourpre, I've come to enjoy the composition minus the stinging citrus. As Flannelman has mentioned, "Mandragore Pourpre is richer and warmer than the original". I find it a touch more masculine and mystical as well. Opening with delectable mint and licoricey anise, with a touch of pepper, Mandragore Pourpre has me impressed. The composition tends to be a lot darker and ultimately richer. The blend of geranium, incense and patchouli is wonderfully unique and tastefully done. In some instances I feel as if this could be the Winter version of Mandragore, however upon further thought, in my opinion this is just an improved and more complex version. The lasting strength and sillage is good, yet not overpowering or particularly strong. As some have already mentioned, the longevity is much improved, yet it is still relatively weak. I get a thick, syrupy espresso note for some reason, noticeably in the drydown, which eludes me. Perhaps it is just me that smells this, however I do believe it is what makes me like this fragrance so much. Compared to Mandragore (which I enjoy) Mandragore Pourpre is richer and warmer, making it ideal for colder weather. The first minute is an intense blast of pepper and mint, with bergamot gradually increasing but less intense than in Mandragore. Next up is a very pleasant but fleeting rosemary note, soon joined then replaced by warm ginger and star anise – these two notes, as in the original Mandragore, are the most prominent on my skin. The anise is particularly lovely. We're then off to a patchouli/incense base with more caracter than Mandragore's (which is just lightly woody). Really good and unusual, and a thumbs up from me. Very good longevity, moderate but noticeable sillage. Write the first Review for Mandragore Pourpre!